Make sure to be Careful and Thorough - Avoid common problems like illegible hand writing, mathematical errors, transposition of numbers, and missing signature. These little oversights can end up costing you time and money if you are slapped with penalties. Organization is Key - Allow enough time to get your "stuff" in order. For example, properly categorizing your expenditures now will save you a lot of time later. Come tax time, you will be glad you grouped your expenditures by category (match it with verbiage on Schedule C if self-employed) and not by month or name of vendor payee. Flexibility - Timing your cash flow can save you money. In other words, always accelerate deductions in the year you are doing taxes for and always defer income, if you can, into the next year, thereby lowering your current year's tax bite. 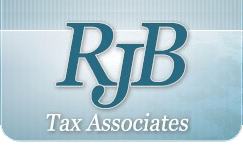 If you fall into the Alternative Minimum Tax, you may want a professional to advise you. Know When To Ask for Help - Tax preparation tools like TurboTax and TaxCut are great, but people with anything more than a straight W-2 (including anyone with even the smallest business “Schedule C") should be aware of the limitations of these software programs. Don't think Short-term - Hiring an expert CPA or EA to prepare your return is a small annual investment that can pay off big! Don't do your taxes yourself unless you are a straight W-2 wage earner that takes the Standard Deductions (in other words, someone who doesn't itemize or have any unreimbursed employee business expenses). Update Your Accounting - It's important as part of your year-end tax strategy to have a good understanding of your company's financial situation. Spend extra time ensuring your books are up-to-date and accurate. It won't hurt to plan time with your accountant for year-end advice, particular to your operations. Depending on your income tax rates in the foreseeable new year, deferral of income can make the best sense for many sole proprietors, partnerships, and S corporations. Ensure your cash flow can handle the deferred income. Office Supplies: Stock up on fax paper, printer cartridges, stationary, and other office items. Pay Bills Early: Pay your bills before the new year in areas such as; cell services, subscriptions, rent, insurance, and utilities. Equipment Purchases: If you will be buying new office equipment, consider purchasing now. You'll have to decide whether an immediate write off is best or spread out the depreciation over years. Consult with an accountant to examine your circumstance and company structure to maximize your deductions. In addition, your equipment will have to be in your office, "in use" by year-end. Other Items: This category includes: pre-payment of subscriptions, travel bookings, equipment repairs, and maintenance. Inventory Write-Offs - Depending on your accounting methods, you may wish to check inventory for goods that have been damaged or have become obsolete. The drop in market value of the inventory can provide your company with added deductions.